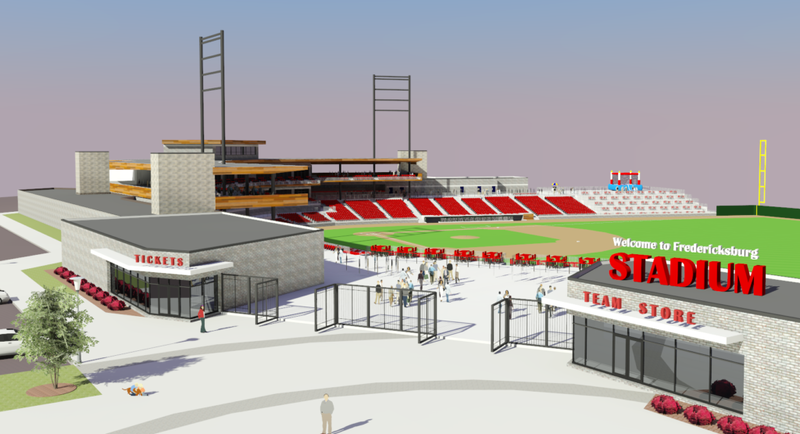 The Potomac Nationals (High A; Carolina League) are pursuing a move to a new Fredericksburg, VA ballpark, with the city to vote on a letter of intent with the team next month. P-Nats owner Art Silber has spent years searching for a replacement for Northwest Federal Field at Pfitzner Stadium. Last year, the team was in negotiations to remain in Prince William County, only for those discussions to stall when the two sides could not come to terms on an agreement. The city would be considered an “anchor tenant” of the stadium in exchange for an annual payment to the club of $1.05 million for 30 years. [city director of economic development Bill] Freehling said this amount would not be affected by inflation and that the city plans to cover the commitment through proceeds generated by the stadium. These proceeds are estimated to include $700,000 from tax revenue generated by the stadium through property taxes, admissions, sales, meals and business license taxes and $250,000 generated through the use of the stadium on non-game days. The ballpark would be constructed in Celebrate Virginia South, on land owned by The Silver Cos., which would contribute $100,000 annually to the project. This is not the first time that Fredericksburg has made a run at a Minor League Baseball team, as discussions about a new ballpark for the Hagerstown Suns (Low A; Sally League) took place several years ago. The site under consideration is reportedly not the same as what was discussed for the Suns. To our friends, fans and business partners……. This evening we announced a plan to join the City of Fredericksburg in a Letter of Intent that would ultimately lead to the construction of a state-of-the-art ballpark in Celebrate Virginia just off interstate 95. As almost all of you know, we have been seeking a site for a new facility for several years, have expended hundreds of thousands of dollars in the process as our current facility falls far short of meeting the basic stadium requirements of Minor League Baseball. For several years we have been playing under a waiver from Minor League Baseball. Recognizing our efforts to find and pay for a new ballpark, Minor League Baseball has extended the waiver through the 2020 season. Our objective is to provide the finest Minor League baseball experience for the millions of people that have come to our games since we started as the Alexandria Dukes in 1978. The design and amenities of the new ballpark will provide you, your friends, families and businesses the finest opportunity to take advantage of baseball, a unique family experience and the opportunity to partner with us as we jointly grow together. The Northern Virginia community is extraordinary in its sophistication, education and commercial success. We know you will be excited to join us and partner together as we continue to provide you with an extraordinary entertainment venue and the opportunity to see the future stars of the Washington Nationals. We would hope that you would all join us for opening day in April of 2020 at the new ballpark. All of our plan holders and sponsors will be given a special opportunity to reserve seats and for joint marketing opportunities. In the meantime, we will continue to play at Pfitzner Stadium through 2019, and hope you will continue to enjoy the experience we’ve brought you at The Pfitz since 1984. Shortly we will share renderings with you, have them at the ballpark for you to see and then answer any questions you might have. Thank you for your incredible support for the last 40 years as we continue to move ahead to provide Northern Virginia with the best possible baseball experience.